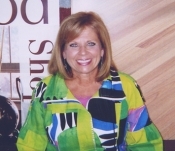 A native of the River Region, Susan attended Autauga County High School in Prattville and Oglethorpe University in Atlanta, Georgia. 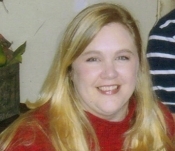 She resides in Prattville and has a son, Blake, who lives in Birmingham with his wife Alison. When asked why she chose to be a sales specialist, without hesitation she said, "That is easy. I love people! I get so excited assisting my clients with their flooring selections and know that their purchases will add value to their homes. It tickles me that I often become part of their families." Susan's best example of her love for others is shown by her receipt of the Chamber of Commerce Outstanding Customer Service award in 2009. She was among 400 other nominees, and the results were based on letters submitted by people in the county and votes cast by the Chamber's Board of Directors. Susan says that this award is the most cherished recognition she has received in her career.For a consultation, please e-mail me at susan@carolscarpet.com or call 272.5400. Tony has been a resident of Montgomery for 24 years and has worked for Carol's since 2006. He is a graduate of the Mohawk University's Higher Achievement Program. "It's a great feeling to provide a vision for customers who are adding floors to new homes or remodeling their existing homes. I am a flooring expert by day. Come night time I am a musician. 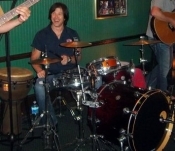 I've been playing drums for more than 30 years and can be seen banging away at local hot spots. When I'm not selling flooring or playing drums, I'm either driving my motorcycle or schooling someone on the golf course. I've been is sales my entire adult life from selling musical instruments to food service to anything that covers a floor or countertop. I take a lot of pride in helping customers improve their homes with beautiful floors and counter tops. A man said something to me years ago and it has stuck with me ever since, 'I don't care how much you know until I known how much you care.'" For a consultation, please e-mail me at tony@carolscarpet.com or call 272.5400. I was born and raised in Montgomery, Ala., by my parents LaBaron and Elaine Cooper. I grew up a preacher's kid and l loved playing softball, cheerleading and singing. 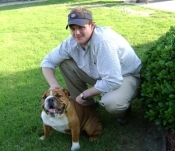 I graduated high school and attended Auburn University Montgomery before working full time. My children are the light of my life and they certainly grow up too fast. I have two children; my oldest, Jake, is a senior at Prattville High School, and my youngest, Sydney, is seven years old. I have spent most of my entire career in interior decoration. I have worked as a decorator for painting, lighting and furniture companies where I have developed a passion for color and decoration. I really enjoy working at Carol's Carpet because we treat our customers like family. I have experience with every detail of major and minor remodels from the floor to the ceiling. I certainly welcome requests for in-home and showroom consultations. Feel free to reach me by e-mail me at kellie@carolscarpet.com or call the store, 272.5400. 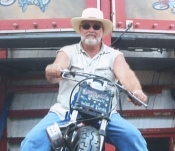 I'm 58 years old and I have 34 years experience working in the flooring industry. If I'm not at the store you can find me driving a Corvette or riding my Harley motorcycle. I grew up in Montgomery and graduated from Robert E. Lee High School. I'm an expert in most all facets of flooring including retail remodel, new home construction and commercial flooring. I specialize in kitchen and bathroom remodels by always giving my customers a unique and custom look. I have worked at Carol's Carpet for years because I know we stand behind our customer service, installation and service after the sale which is why my customers return to Carol's Carpet for all of their flooring needs. I have the answers to your flooring questions so give me a call at 334.272.5400. I have been part of the Carol's Carpet team for over 15 years and I service the flooring needs of our customers in the tri-county area. I grew up in Montgomery and now live in Titus. I'm an active member at my church, Victory Temple in Wetumpka. 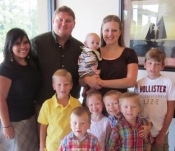 Most people don't know that I have 8 children at home, ranging from seven months to 15 years old. I started working at Carol's Carpet as a part-time installer during summer vacations and was promoted to manager of Carol's Carpet in-house service department. My experience as an installer gives me a greater understanding of flooring and I have brought that experience to my sales position. I enjoy working with our customers by giving them answers to their flooring questions. Come see me at Carol's Carpet in Montgomery, sent an e-mail to les@carolscarpet.com or call 272.5400. I've been a flooring consultant for Carol's Carpet since 2004. I was born in Montgomery but I've lived all over the country. I graduated from Pelham High School in Birmingham in 2002. I'm a graduate of Faulkner University, Go Eagles. I'm an Auburn football fan and prefer to spend my Saturdays at Jordan-Hare Stadium. My time outside of Carol's is spent with family, friends, and my two dogs. I consider the expert Carol's Carpet sales staff to be mentors and friends. I have completed several Mohawk Flooring University certification courses and I'm a certified Flooring America Consultant. I've focused on product knowledge to find my customers the appropriate flooring to match their needs and expectations. Like all of our staff, we are experts at giving our customers beautiful and unique flooring solutions. For a consultation, please call 272.5400. I was born and raised in Montgomery and graduated from the University of Alabama with a BS in Home Economics majoring in Interior Design. My career has always included selecting and selling floor coverings. This is my 37th year and each client brings me a challenge that I enjoy solving. When I am not decorating I spend time in our gardens or on the road hunting for that next antique treasure for our 1842 home! And let's not forget the fall has many weekends of watching football!